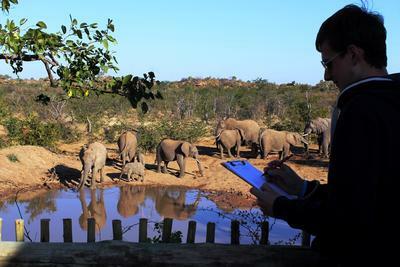 Volunteer in Botswana with Projects Abroad and experience living and working in an untouched African Savanah bushveld setting, while contributing to important wildlife conservation efforts. 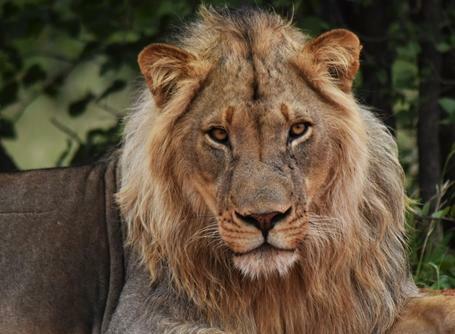 Botswana is home to some of the world’s most loved wild animals, including the big five: African lion, African elephant, buffalo, African leopard, and rhinoceros. Botswana also boasts beautiful natural vegetation such as the famous ancient baobab trees. Large parts of Botswana’s natural biodiversity are threatened by factors such as poaching, drought and desertification. 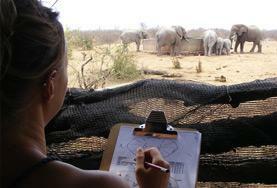 By volunteering in Botswana, you will help protect wildlife and the natural habitats of many species. Our project is situated at a wildlife reserve called Wild at Tuli, in the famous Tuli Block, a large area of protected wilderness on the border with South Africa, which is uninhabited by people, and allows wildlife to roam freely without unnatural obstructions like fences. Botswana is a landlocked country in Southern Africa, wedged between Zimbabwe and South Africa. The landscape is largely defined by the Kalahari Desert and the famous Okavango Delta (UNESCO World Heritage Site). 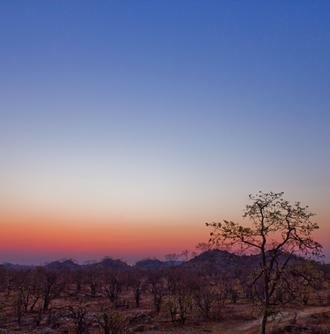 Botswana is home to majestic bushveld landscapes with breathtaking natural fauna and flora. The populations is small, but is rich in diversity of culture and language. Most locals speak English and the national language of Botswana, Setswana. Other smaller languages included Sindebele, Kalanga, Kgalagadi, and Afrikaans. Botswana also offers unique traditional cuisines, which will serve as an excellent way for you to experience the culture. African dishes usually consist of maize and meat, with Botswana being no different. The country’s traditional dish is Seswaa, a meat stew served over thick polenta or pap. If you’re brave, you may even have the opportunity to try something more unusual, like Mopani worms, which have been a part of diets in southern Africa for centuries, and are filled with nutrients! 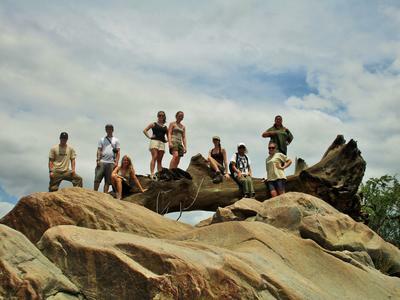 Botswana’s large areas of untouched natural landscapes makes it a highly popular tourist destination. Other than your time in the Tuli Block, you can plan to experience some of its other attractions, such as a visit to the world’s largest inland delta or Botswana’s famous salt pans. In surrounding areas of our project there are a number of nature reserves which you can visit with other volunteers in your free time. You will be able to go on wildlife safaris, relax at tranquil lodges, camp under the stars, or soak up amazing sunsets that only African landscapes are able to produce.